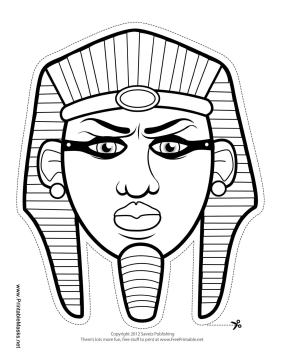 This Egyptian pharaoh mask is perfect for any lesson on ancient Egypt. This particular pharaoh is wearing a false beard, eye makeup, earrings, and the traditional Egyptian headdress. Color in the mask as you learn about this ancient civilization! This mask is free to download and print.